Participate in Maha Rudra Homa at Manasarovar. Devotees after alighting at Kathmandu in Nepal, journey through the breath-taking and beautiful Kyirong Valley of Tibet region known for hot water springs. 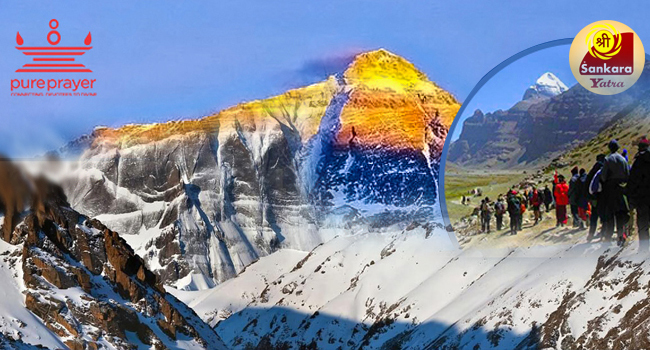 Manasarovar in Dongba being the next stage, where they take a holy dip in Manasarovar, worship and offer prayers. Parikrama or going around Mt. Kailash begins at Darchen, the Maha Rudra Homa venue. Route taken for Parikrama is through Diraphuk or Zuthulphuk depending on the weather. Devotees are dropped at Kathmandu to prepare for return journey. This is a 14day package.